Club sports are “intercollegiate athletic teams funded and founded by students” and are “governed by the National Intramural Recreational Sports Association (NIRSA).” (Club). Any competitive activity can be made into a club sport. They typically act as a “bridge between intramural and varsity athletics” with similarities to both varsity and intramural sports. For instance, sports clubs have a national championship just like varsity athletics do. They are more relaxed like intramural sports; however they compete against other schools, not just other teams within their school. Unlike varsity athletics, there are no scholarships and minimal adult leadership. Club sports enhance the lives of college students through commitment, focus, a healthy lifestyle, team work, enjoyment and lasting friendships. Sports are an important part of many college students’ lives and are continuously rising in popularity. In 1994 the Club Soccer Championship had fifteen teams and 252 players. In 2007 the numbers had increased to seventy-five teams and 1,380 players. It is now estimated that two million college students participate in club sports and 430,000 in varsity athletics nationwide (Pennington). Many students come from a life back home that included participation in a sport, whether for their high school’s varsity team or for an outside private club. Varsity sports in college are much more competitive and a bigger time commitment than in high school, and with an estimated 5% of high school graduates talented enough to play a varsity sport in college, many students do not continue post high school (Pennington). Luckily, nationwide, club sports allow students that are not pursuing a varsity sport at their institution, a chance to continue doing what they love in a less demanding atmosphere. The options for club sports are much broader than that of varsity so it is not uncommon to have a club sport that does not have a varsity team at the school (Club). Student activities associations’ usually oversee club sports as a whole at each institution and provide funding to them when they submit requests. 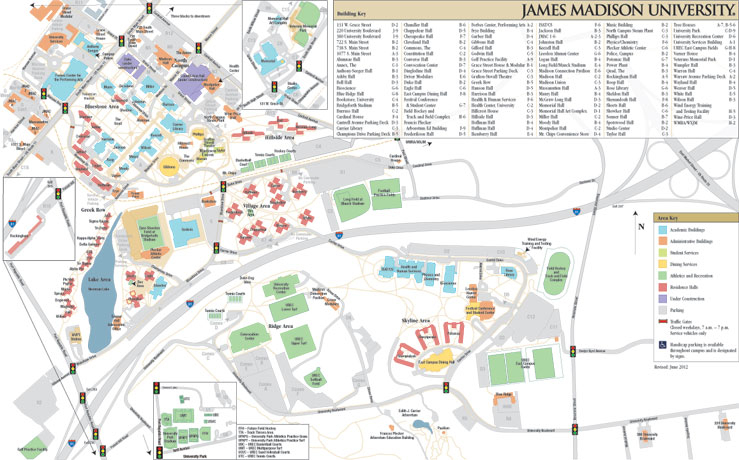 At James Madison University (JMU), University Recreation (URec) is the governing body of all club sports with students controlling the functioning and planning of each individual club. One of the most important aspects in keeping the club functioning is volunteer hours. At JMU, URec has a community service point system that corresponds with how much money we receive from them to fund each club sport. Keeping in “good standing” with URec ensures that the sport club will continue functioning. With students controlling the operations of each club sport, important leadership opportunities in the executive functions of the club arise. This can be a great resume builder while teaching life skills such as working with others, networking, and time management. Even though there are distinct differences between varsity and club sports, most students said that given the chance to turn their club team into a varsity team they would not accept the offer because they wouldn’t be participating in the sport for the same reasons. As previously discussed, some sports are not offered at the varsity level, but are at the club level. Here at , one such example is gymnastics. Club Gymnastics at JMU is a great organization that welcomes anyone no matter what their past gymnastics experience is. Following is an interview with Brittany Rouiller, a senior at James Madison, which discusses her gymnastics experience and how JMU Club Gymnastics has helped her continue her love for the sport. Through Brittany’s story it is evident that Club Gymnastics has allowed her to actively continue the passion she has had for the sport for many years. She even specifically looked at schools that had club gymnastics because she knew from older teammates how great of an opportunity it was. There should be no surprise then that she says the best part about club gymnastics is all of the friends that she has made and the support system she has gained. Brittany’s participation in club gymnastics has done more than just be a great social outlet for her, but it has also given her leadership experience, which The New York Times said is another benefit of club sports. Club Gymnastics at James Madison is a great opportunity to get involved with the extra-curricular activities that the University has to offer. Especially as a freshman, it is very important to get involved with something you are passionate about so that you can immerse yourself in the school and make your experience the best it can be! By participating in a club sport instead of a varsity one, it enables students to get involved with other organizations on campus more easily due to the less time and competition required. Club sports are a great opportunity for this because of the friends and team atmosphere that are created, while promoting a healthy lifestyle by exercising which can be great for stress relief. To get involved with a club sport you need to be a full time student, and pay dues that are specified by the individual club. Some sports have tryouts, but others like gymnastics, accept anyone interested. For more information about club sports at James Madison University, get in touch with University Recreation URec. Club Gymnastics and other sport clubs at JMU are fantastic organizations that have a lot of fun and open up great opportunities for you during your college years. Club Sports in College, Campus Explorer, Inc., 2012. Pennington, Bill, Rise of College Club Teams Creates a Whole New Level of Success, The New York Times Company, 2008. « The Music Sin-dustry	» Why Club? !